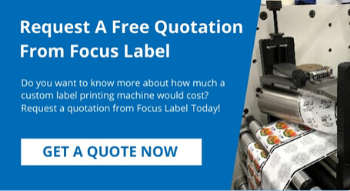 Here at Focus Label we provide a comprehensive support & training program for all of the equipment that we manufacture; in order to get the best from your machinery it is vital that it is used correctly. You have the choice of training either here at the Focus showroom or on site with installation; it is completely up to you. Our fully equipped showroom houses all of our latest equipment technology and we highly recommend that companies take advantage of this free facility so that their staff are able to become familiar with the equipment before having to use it for the first time. Focus technicians will install your equipment, commission & provide training. For more information and enquiries don’t hesitate to get in touch with us either by phone at: 01949 836 223 or by email at: admin@focuslabel.com and a member of the Focus team will be more than happy to help.